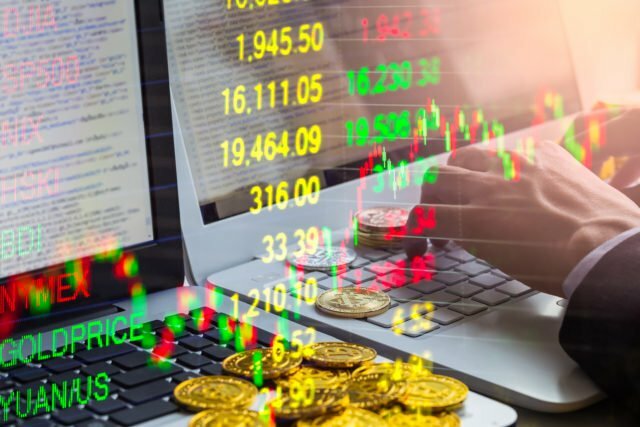 Although it is far too early to know if a price recovery is underway, this year promises significant development in terms of investment options in the crypto space. Already a number of banks and traditional financial institutions are preparing to offer crypto products, and institutional investment is all but certain to begin soon. Adding to these moves are ever developing choices for cryptocurrency trading. Notably stablecoins and fiat gateways for altcoins are quickly expanding, and could radically change how the public purchases blockchain assets. Stablecoin options have been emerging rapidly, and their supporters claim that they will solve many of the problem facing crypto adoption and use. Notably, advocates assert that stablecoins will end the volatility associated with crypto, thus making real-world use more attractive. Stablecoins achieve this feat by being tied to a specific fiat. For example, Tether (USDT) is tied to the U.S. Dollar, as is USD Coin, True USD, and Gemini USD. These unique crypto assets are not without controversy. Critics charge that they contradict the central tenet of cryptocurrency as a decentralized asset, as they are effectively digital versions of fiat. Also, backers of stablecoins have been accused of dishonesty. Notably, each Tether coin is claimed to be backed by one dollar, yet the company behind the coin refuses to provide such proof. It is worth noting that, like other cryptocurrencies, stablecoins operate in a largely unregulated environment, and are thus not protected against theft or fraud. Regardless of criticism, stablecoins are growing because of the unique opportunities that they can provide for crypto use. For example, their stability may appeal to residents of underdeveloped countries who wish to adopt crypto to avoid their own inflation prone fiats. Cryptocurrency use is growing rapidly in these nations, yet the volatility of Bitcoin and altcoins has caused problems. Stablecoins can also be linked to decentralized applications and smart contracts, or possibly used by banks for lending against blockchain assets. Expansion is also taking place for trading and purchase options. Notably, substantially more options exist to purchase cryptocurrency with fiat, as exchanges respond to calls by consumers to reduce the steps needed to purchase altcoins. Abra, for example, is a smartphone app that enables the purchase of over two dozen cryptos with a wide range of fiats, and a number of altcoin specific fiat gateways are either active, or soon will be. Vertbase, for example, enables direct purchase of Vertcoin with Euros or U.S. Dollars. A significant expansion of base pairs across exchanges is also underway. Binance, for example, has recently added Ripple pairings, and decentralized exchanges that offer a wide range of pairings are gaining more usage. Over the course of the next several months trading options will likely become much more diverse. This development could substantially change the valuation of many platforms, and perhaps undermine Bitcoin’s hegemony as the dominant exchange coin. The increasing adoption of blockchain technology all but guarantees that cryptocurrencies will become a permanent part of the global economy. It is thus inevitable that more advanced options will emerge to invest in this new asset class. To a large extent, the creation of these options will represent a new chapter in the crypto revolution, and will usher in its mainstream use.